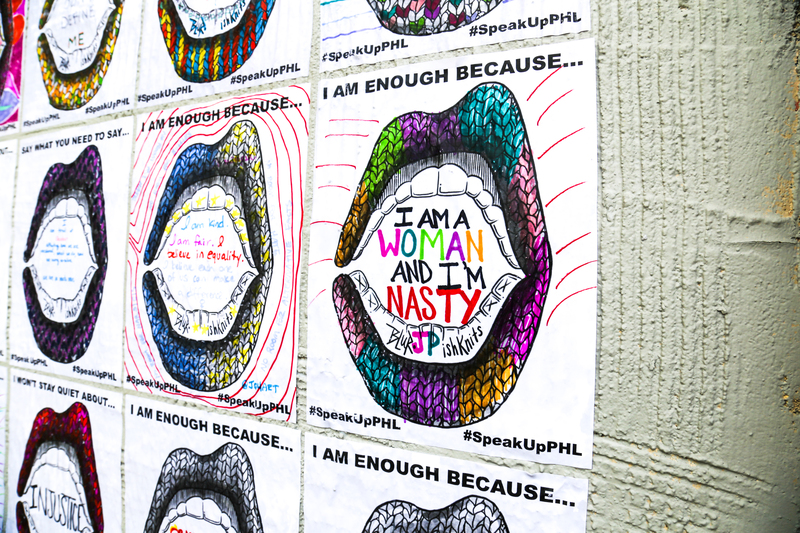 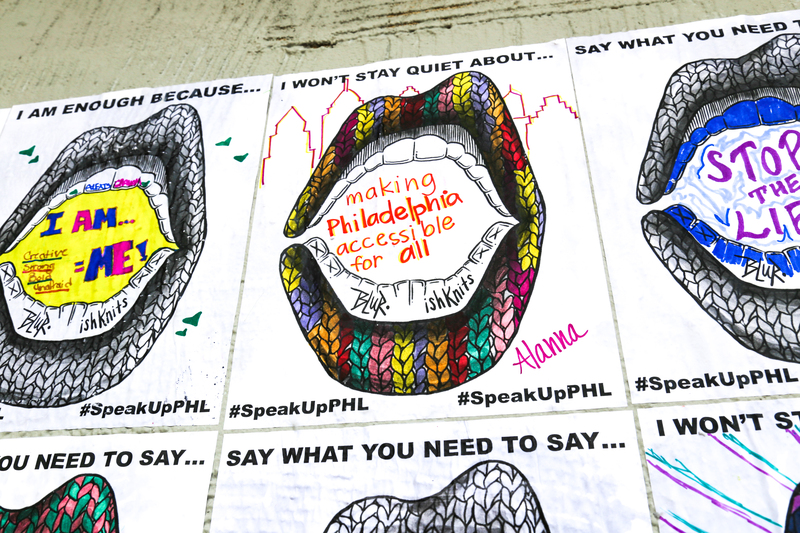 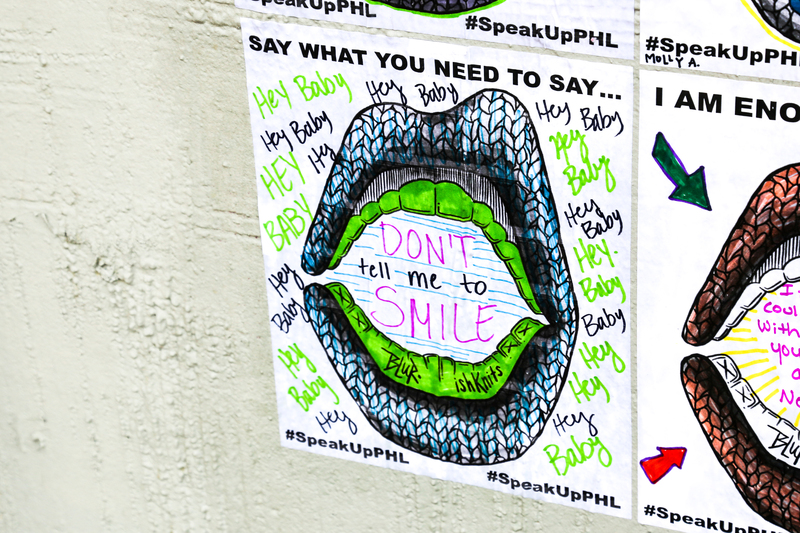 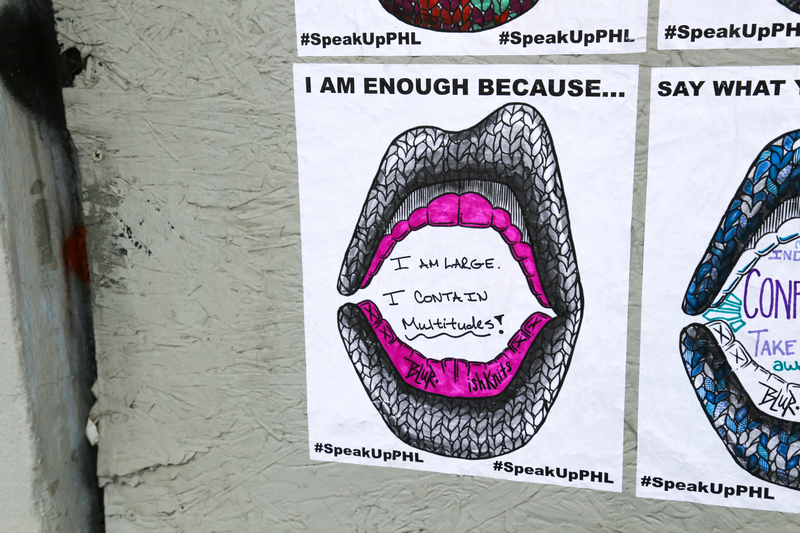 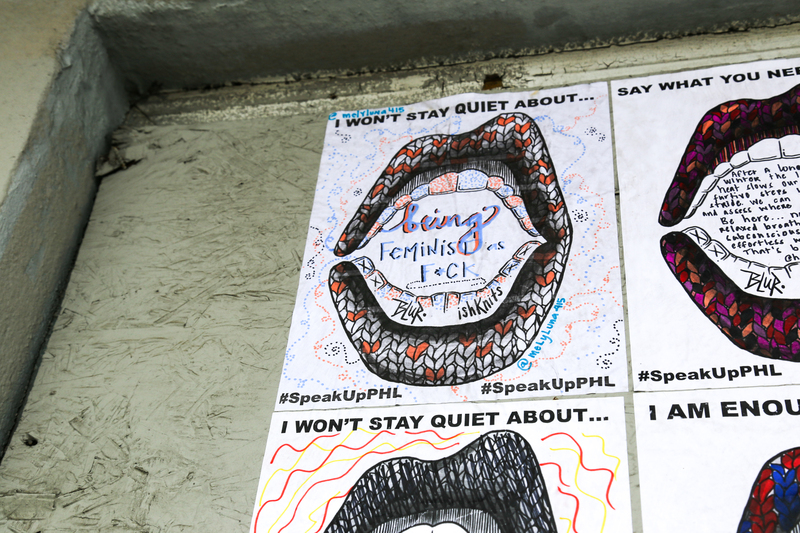 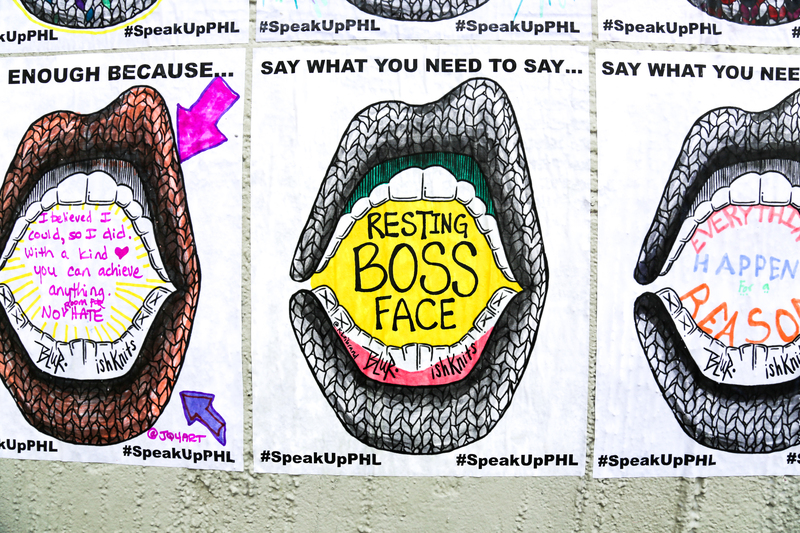 Early last month, Philly street artists Ishknits and Blur hosted a feminist art workshop titled #SpeakUpPHL. 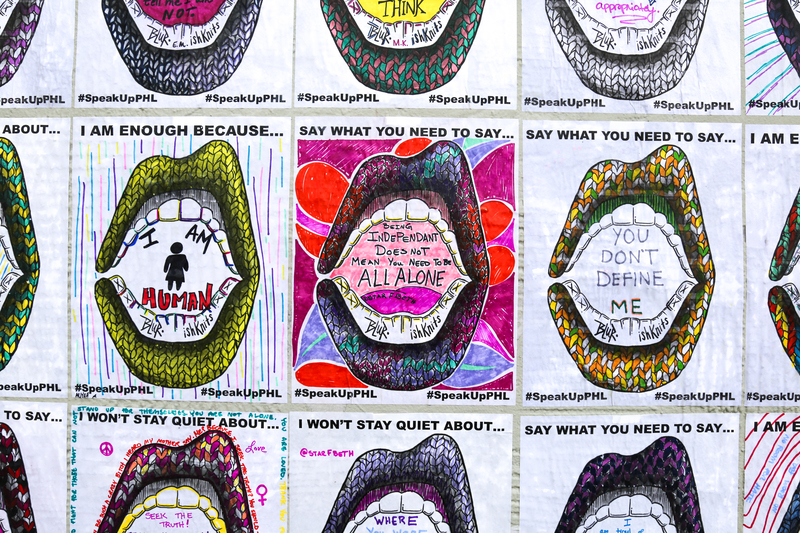 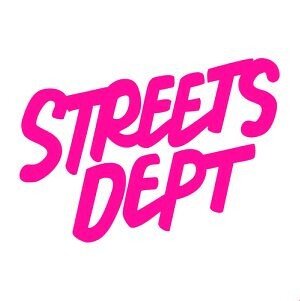 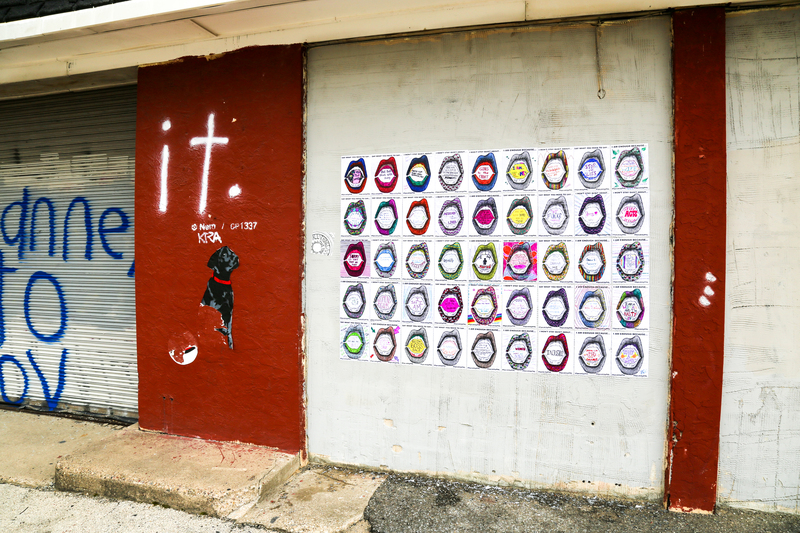 The workshop offered participates the opportunity to create messages for the center of Blur’s now super well-known ‘Speak Up’ series (the mouths you see throughout this post), which the two host artists would then wheatepaste around town. 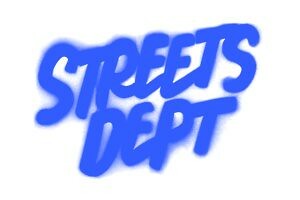 Well, that time has come! 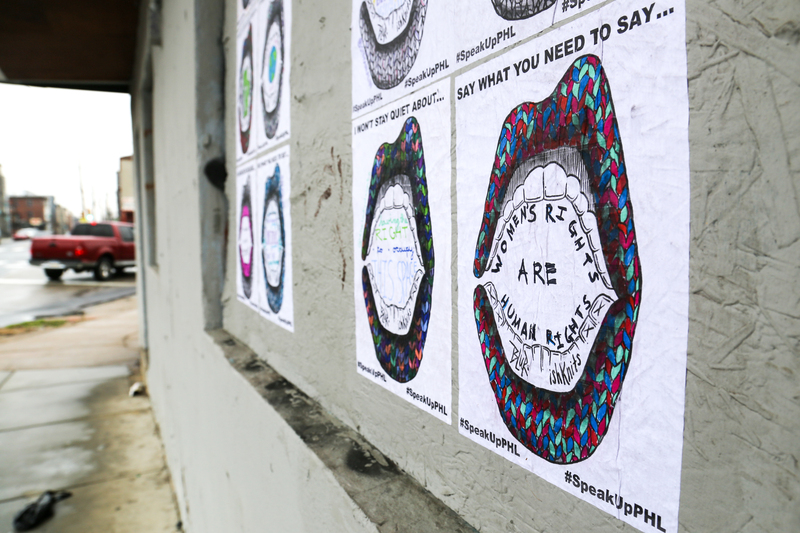 About two weeks ago I took these photos of some of the work from the #SpeakUpPHL workshop that Ishknits and Blur pasted up at 5th and Green streets in Northern Liberties and Frankford avenue and York street in Fishtown. 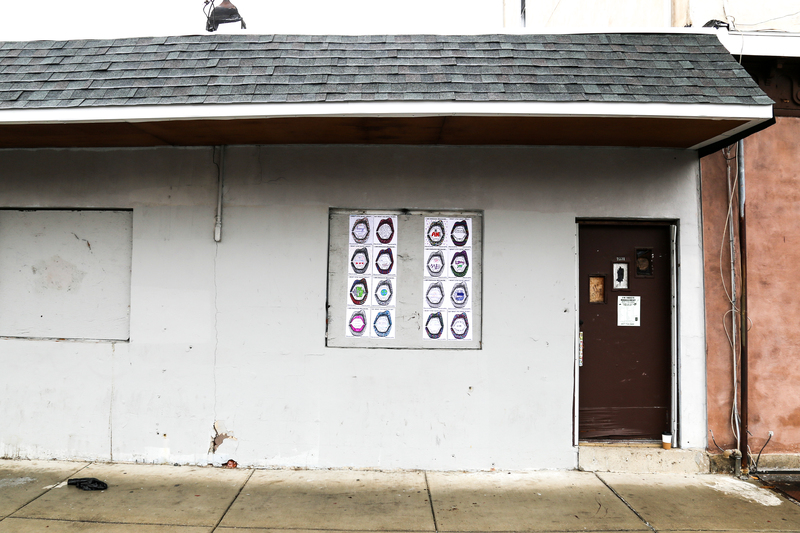 The one in Fishtown, unfortunately, has since been buffed (or painted over, if you’re not familiar with that term). 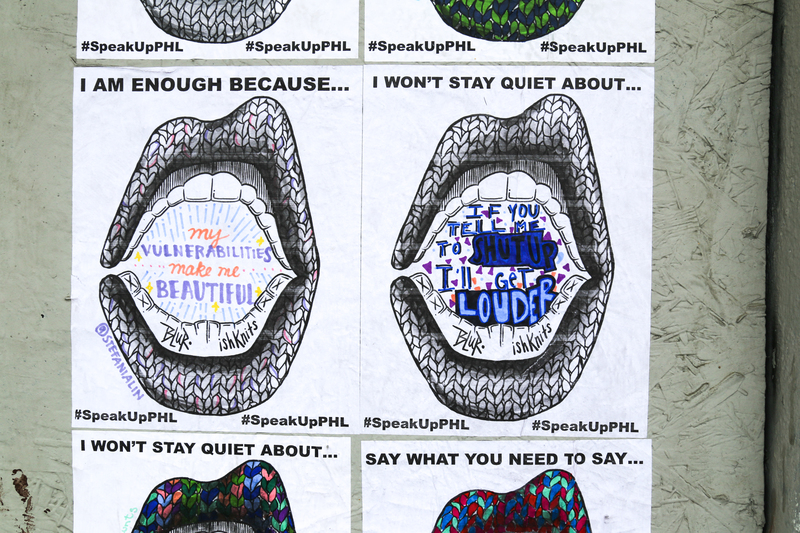 Check out more work around Philly from Ishknits and Blur by clicking their names!